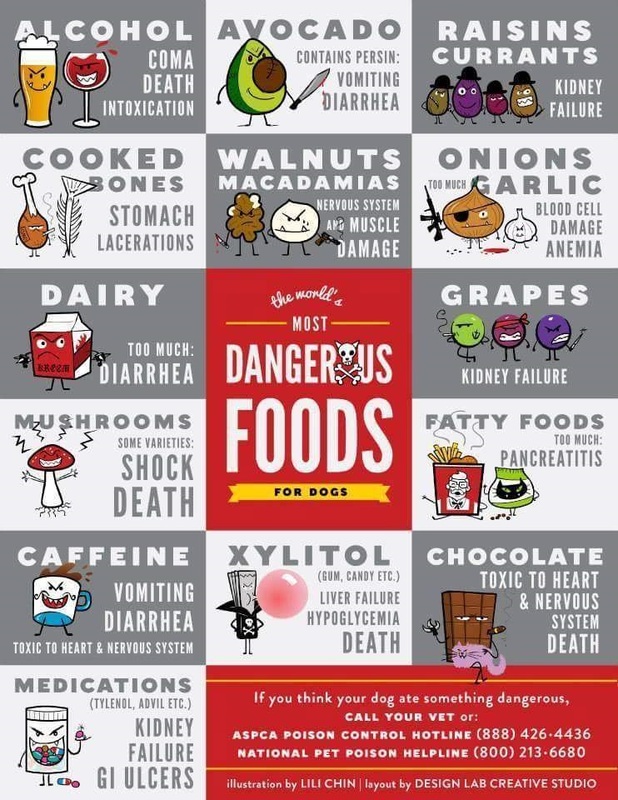 If you are a new pet owner or were unaware that many human foods can be fatally poisonous to your dog, it's important to know what your dog can't have to protect it. Make sure you know all the foods and household items that are poisonous to dogs and tell your guests not to feed your pets at all. The two biggest risks when having a dog is that your children will drop something or feed them something not knowing it's poisonous to your dog or that you won't know something will poison your dog and you feed it to them trying to be nice. Make sure you talk to your friends about these potential hazards. 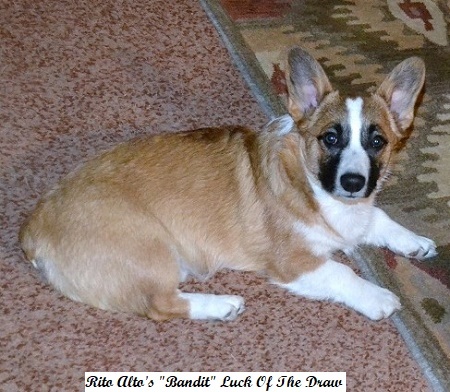 It's important to know in advance what you need to be extra careful with because most people are rushing to look things up online after their dog accidental beats them to a food that falls on the ground and often it can be too late for the poor animal. There is a small risk of food poisoning when your dog is put on a raw egg diet that may contain Salmonella or E.coli Cooked eggs are ok.
Not good to feed your dog fatty food like bacon, ham, meat trimmings, etc. It is quite harmful to their digestive systems. Tails docked, dew claws done and 3 wormings plus first shots will be given. Each Puppy will have a "Puppy Kit"
Plus each puppy will have a stuffed animal toy and a packet of puppy food. Breeders Certificate and a full pedigree. Price will be $1,850.00 For Each Of The Puppies. You Will Have Full Breeding Rights Even If You Just Want A Pet. A $500.00 deposit will hold your puppy, Balance Of $1,350.00 Is Due When The Puppy Is Ready To Go Home With You At 8 Weeks Of Age. For Those Of You That Want To Fly Your Puppy, The Balance Will Be Due 10 Days Before The Flight. A $500.00 non refundable deposit is required to hold your puppy. 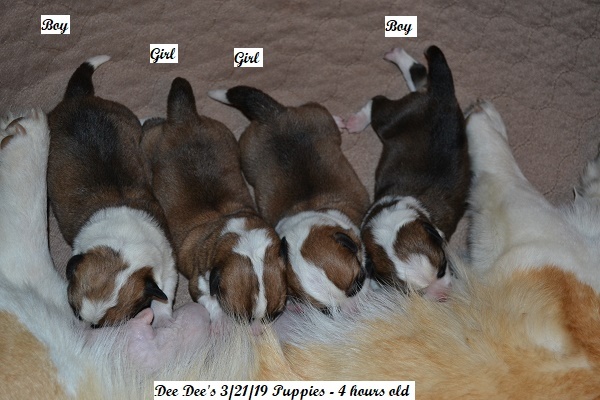 Dee Dee had 4 puppies 3/21/19. Puppies are coming from a home with other pets with a lot of love and attention and will be well socialized. Each one of these pups will make an amazing new family member. 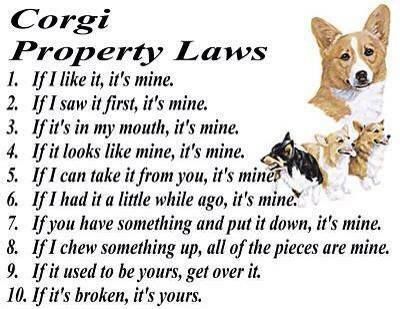 Weâ€™ve grown to love our corgis and couldnâ€™t imagine raising any other breed! 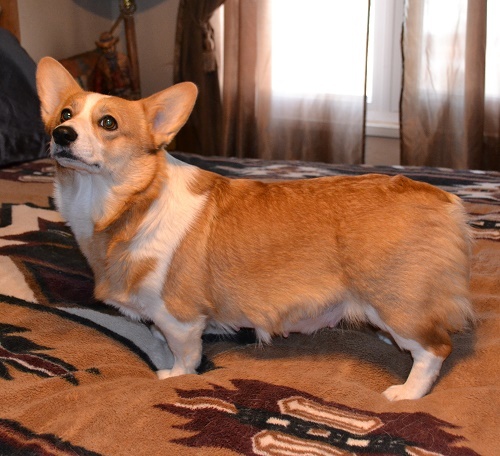 If you have had Corgiâ€™s before you know what I mean, if not, rest assured that the decision to buy a corgi is one that will reward your family for years and years to come. They are as cute full grown as they are puppies. We take raising puppies very seriously. We want the puppy you purchase from us to be the best puppy you can buy. We believe that work spent on the young puppy pays off in the end and produces a dog with a sound mind and willing attitude. Early experiences in molding a puppy's mind seem to have a profound effect on the babyâ€™s mental and emotional development. - We require 3.5% U.S. and 4.34% for Non-U.S. of the amount sent to cover fees charged by PayPal. Thanks!